On a cold Winter’s day, preferably after a good long walk, there’s nothing more satisfying than a bowl of soup at home, in front of the fire. I am partial to a meal in a bowl – something hearty. I have tasted some great soups – Simon’s lentil soup is one of my favourites. When he lived in Boston, I got a chance to visit & taste a few different versions of New England clam chowder. In the UK, the famous Scottish Cullen Skink, or smoked haddock chowder is another favourite. I decided to make my simple, slightly healthier version – no fish or vegetable stock, white wine or cream which you can add of course. I think soup is one of the versatile recipes that can easily be adapted to suit your personal taste. This one is quick to make, ready in about 25 minutes. 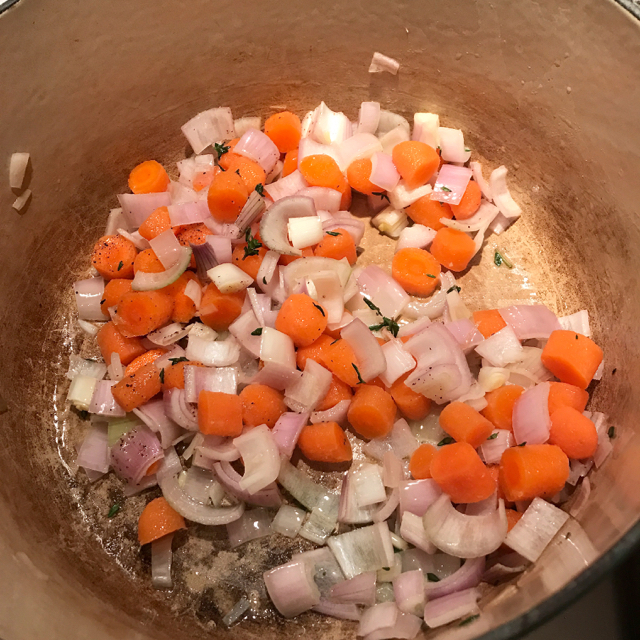 Melt the butter in a large heavy bottomed lidded saucepan & add the shallots, thyme & carrots. 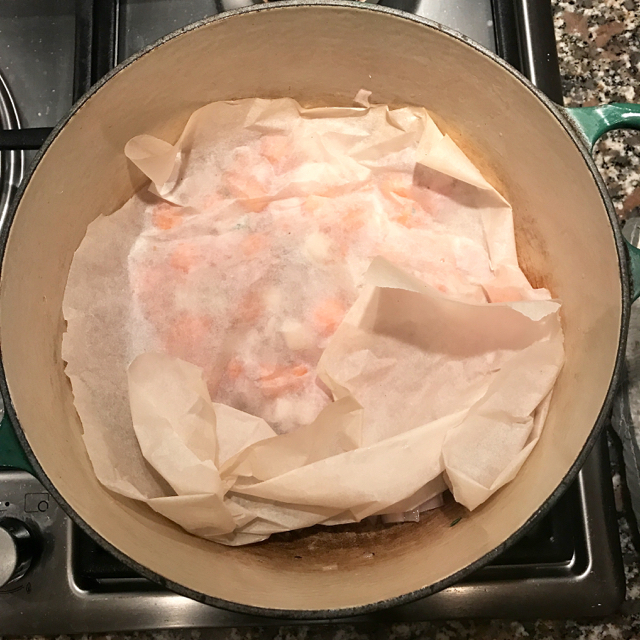 Put a large circular piece of greaseproof paper ( known as a cartouche) on top & then put the lid on & cook very gently for about 10 minutes until soft but no colour. 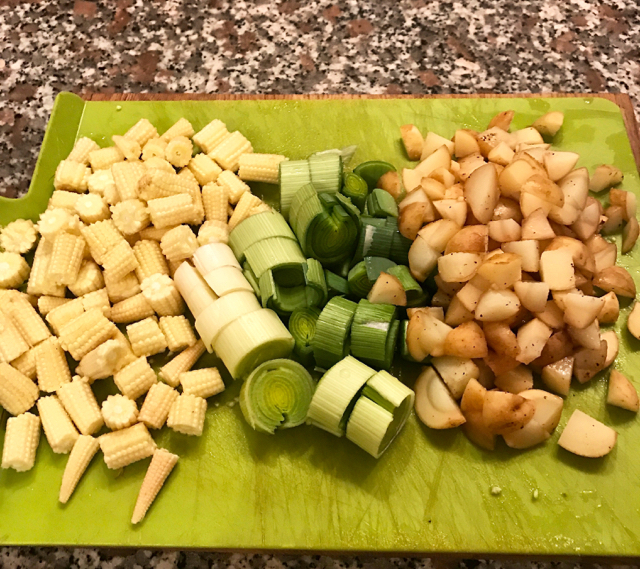 Stir and then add the leek, chopped potatoes & sweetcorn, put the greaseproof paper back, lid on & cook gently for another 10 minutes until the potatoes are soft. 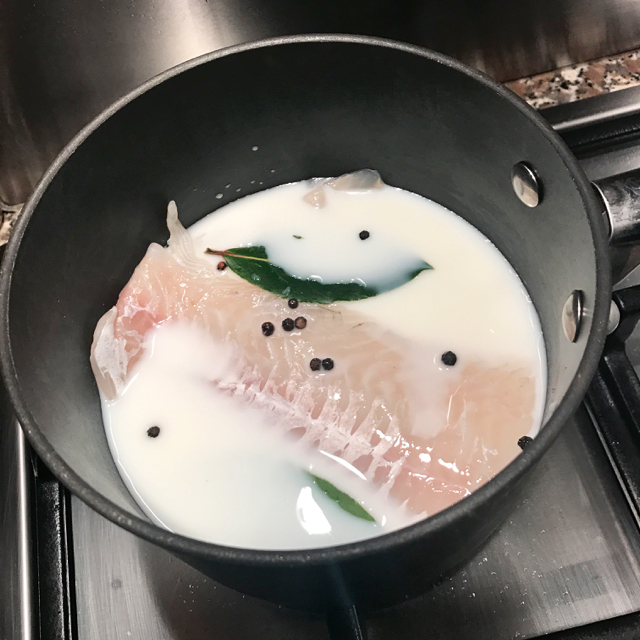 Put the smoked haddock, whole black peppercorns & bay leaves into a large shallow pan & cover with the milk. Put a lid on and poach the fish on a gentle heat for 5-8 minutes, depending on how thick the fillets are. 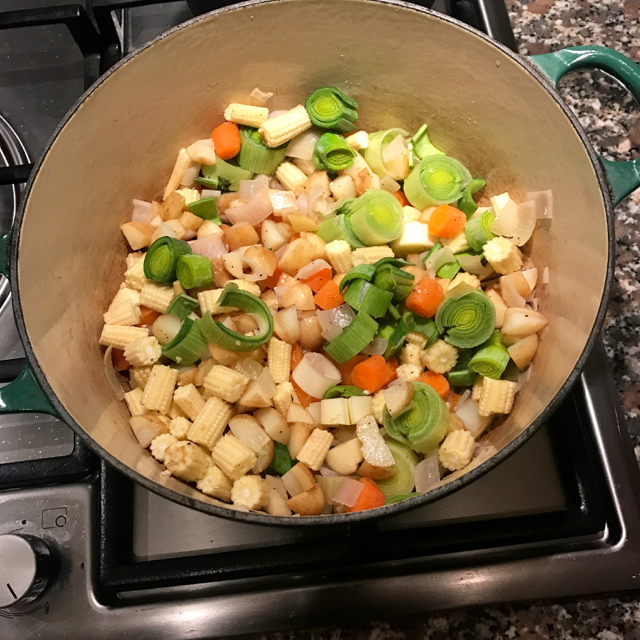 Carefully strain the hot milk into the pan of cooked vegetables. Remove & discard the peppercorns and bayleaves. Flake the fish into the pan with the vegetables & milk. Season with freshly ground black pepper, and a little salt if needed. 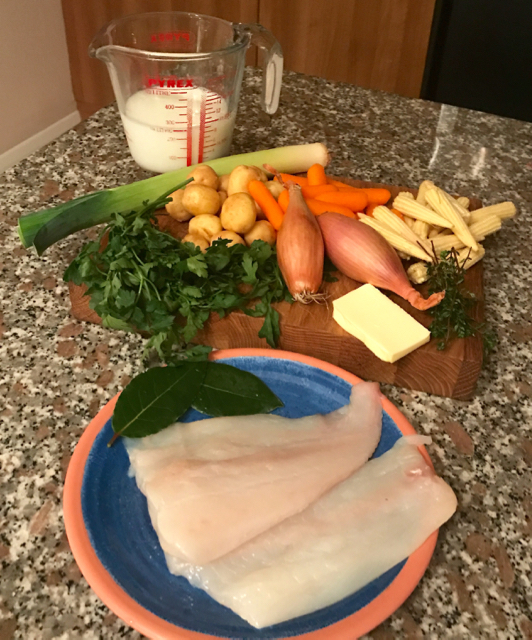 My tasty healthy smoked haddock chowder, a perfect soup for Winter warmer for lunch, supper or dinner. This looks delicious! I have never used leeks before, I’ll have to give it a try! Thanks am definitely trying your salmon chowder recipe too!